What a happy surprise to see the job of your dreams posted on your company’s intranet. Be careful though, because what seems to be an opportunity in your eyes could quickly prove to be a disadvantage… How do you prepare and behave for an internal recruitment? What links need to be woven within the company to improve your chances? When applying internally, you might feel like you’re on familiar ground, but neglect preparation and you will come across as not serious. To avoid losing your initial advantage, find out if there is a preferential recruitment policy for internal applicants. Only consider applying if you have real chances of getting the job, to avoid moving heaven and earth for nothing (see paragraph 2). Start with the principle that your recruiter knows nothing about you – even if you run into him three times a day at the cafeteria, mention everything on your CV. Consider browsing your company’s website – it would be too bad if an external applicant knows more than you about the company that hired you 10 years ago. In conversation, use your common sense to use the appropriate tone in front of your recruiter colleague – neither too formal and distant nor too friendly or intimate. Prepare answers to some of the questions related to internal recruitment: Have you informed your current manager? How do you envisage making the transition between the two positions? How would you react if you did not get the position? Finally, show interest in developing internally and fully participating in your company’s development. Do you have a recruitment manager in the company? Don’t hesitate to meet him to learn about the position’s requirements and responsibilities, to ask his opinion about potentially being a candidate. Finally, take a look in the department of the desired position to converse with employees and to learn more about the job’s characteristics, the challenges, the skills required to succeed. And your current boss? Try to make him an ally. Consider talking to him from time to time about your career expectations (getting more responsibility, a new challenge, managing a team). By taking the lead, he will appreciate your frankness and may, on D-Day, give you a boost. Once you have made a decision to apply, take care not to alert the entire floor – confide in a few trusted colleagues, no more! After filing your CV online, why not put a paper version in the hands of the recruiter, putting a face to your name, and say how you are looking forward to discussing it with him at an interview. If the position is not assigned to you, you will need to be strong, very strong, since you will keep working with your team. Thank your manager for his support, take on a positive attitude, don’t be vexed or disparage the successful candidate. 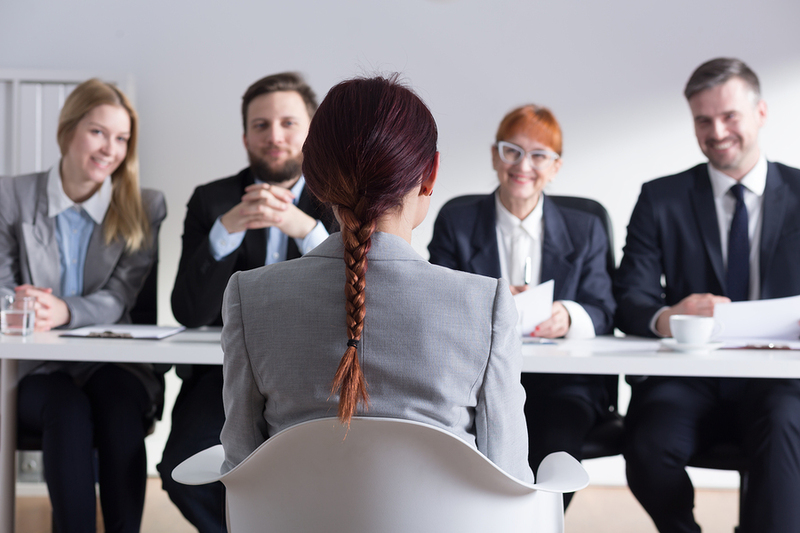 Make no mistake, an internal application may need even more preparation to be up to carefully prepared external candidates and to face recruiters who could be even more demanding. To be a winner in this adventure and take advantage of your situation, spend the time to learn about what you think you know well, maybe incorrectly, and build a trustworthy network.